It was announced today that the new Broadway musical Anastasia will appear in mountings across Europe, Asia, the United Kingdom, Australia and South America. Productions are expected to play in Germany, Holland, Spain, Russia, Korea, Japan, Mexico and China. Plans for a North American tour of Anastasia are also underway. A confirmed production timeline will be announced soon. Anastasia began performances on March 23, 2017 and opened on April 24, 2017. The new musical inspired by the 1997 animated film of the same name is directed by Tony winner Darko Tresnjak. Featuring a score by Stephen Flaherty and Lynn Ahrens and a book by Terrence McNally, Anastasia tells the story of a brave young woman attempting to discover the mystery of her past. The musical features tunes from the film, including Flaherty and Ahrens’ Oscar-nominated “Journey to the Past,” as well as original songs. 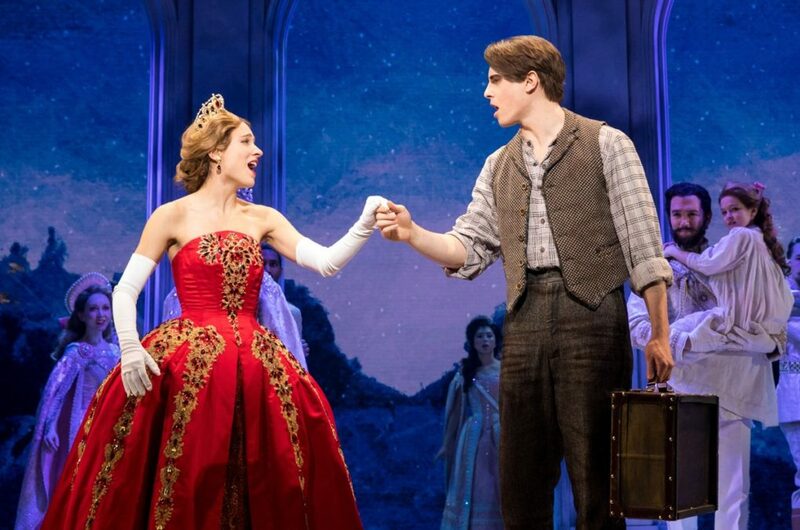 Christy Altomare stars in the title role on Broadway, with Derek Klena as Dmitry, Ramin Karimloo as Gleb, Mary Beth Peil as Dowager Empress Maria, Caroline O'Connor as Countess Lily Malevsky-Malevitch and John Bolton as Vlad Popov. Rounding out the Broadway company are Zach Adkins, Sissy Bell, Lauren Blackman, Kathryn Boswell, Kyle Brown, Kristen Smith Davis, Janet Dickinson, Constantine Germanacos, Wes Hart, Ian Knauer, Ken Krugman, Dustin Layton, Shina Ann Morris, James A. Pierce III, Molly Rushing, Nicole Scimeca, Jennifer Smith, Johnny Stellard and Allison Walsh. Anastasia is currently nominated for two 2017 Tony Awards, two Drama League Awards, nine Drama Desk Awards and 13 Outer Critics Circle Awards. The musical played a 2016 out-of-town engagement at Hartford Stage.